My family and I took a vacation to Florida back in November. I have 2 children and I'm still a dental student, so a lot of people wonder how I can go on vacations right now. I thought I would share the break down of all the expenses and show you how it's really not that expensive. That's pretty good considering I would have spent money on gas and food even if I didn't go to Florida. So really the actual cost would probably be well under $200. So how did I do this? Here's the detained explanation on how I saved the money. Airport Parking: First I dropped my family and luggage off at the airport then parked my car for free at a hotel that was close to the airport. I then jumped on a 5 min public transportation to the airport for $1.25. If I had parked my car in a cheap economy lot it would have cost me about $7 a day X 9 days = $63 or much more depending on the location and fees. Plane Tickets: I got the points from a 60,000 united explorer card I got early in 2013 and from a 40,000 point bonus from Chase Sapphire credit card. I only used 75,000 of those points for 3 round trip tickets from Salt Lake City to Orlando. The cheapest you'll find these flights are probably around $315 a ticket or close to a $1,000. 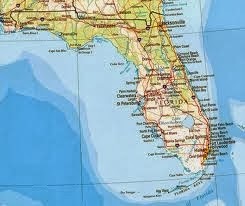 Hotels: I used to live in Florida so there were several places we wanted to go. So we traveled across central Florida staying in Tampa, Orlando, and Melbourne. We stayed at Country Inn and Suites, Residence Inn by Marriott, and a Sheraton hotel. I used my free hotel points from Club Carlson (I used 30,000 points), Chase Marriott credit card (I used 30,000 points), and SPG credit card (I used 10,000 points). Most people would probably have spent $700+ on hotels for 9 days. Rental Car: This was a full sized car at a economy sized car price. Because I'm a member of the military they upgraded me for free. I don't think they normally do this, but they did in my case:) I purchased the rental car using my Barclaycard Arrival credit card. The $120 charge will be reimbursed using 12,000 points. I have well over 12,000 on that account. You get a 40,000 just when you receive the card. 40,000 points are good for $440 worth of travel related expenses (planes, hotels, cruises, rental cars, etc.). Gas: I actually spent $80 using my american express (AMEX) card, but they will reimburse $15 of that because I made 3 purchases of $25+ at BP gas stations. AMEX had a promotion going on that when you spend $25+ at BP gas stations they will give you a $5 account statement. So basically I got my gas for about 20% off the going rate. Nice. Food: We ate out several times at places like Chili's, Cafe Rio, Subway, Sweet Tomatoes, Chipotle, etc. We were able to save for breakfast because most of the places we stayed had free breakfast. We also purchased food at grocery stores. So this trip would have cost $2,500 - $4,000 without credit card freebies and military discounts.